A thermometer is a device that is used to measure the body temperature. These days, with advancing medical technology, thermometers are available that of different kinds and varying accuracies. In this article, we shall briefly review the types of thermometers that are currently available on the market that are used to measure body temperature in patients who are ill.
With the change in the season, some individuals who are sensitive to this can develop a variety of different allergic symptoms and signs. This is known as seasonal allergy and can be quite a troublesome and distressing condition to many patients. In this article, we shall briefly review seasonal allergies and talk about how they can be managed and prevented. Back massager and back stretcher: which one is better and how to use them? There are a plethora of ways to relieve back problems, from pharmaceutical assistance to surgery. Oftentimes, however, there is a much simpler solution. A good deal of back pain is caused by stress and tension. When we are overly stressed, the hormone cortisol is released at high levels and courses throughout our body, sending all our systems into the fight-or-flight reaction. That means that the muscles are tensing dramatically in order to move quickly and defend the beloved organ it surrounds. 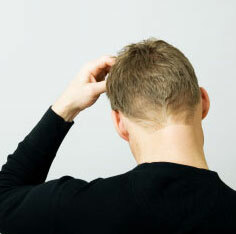 The scalp on the top of the head consists of skin and millions of hair follicles. Unfortunately, certain conditions can make the skin rather dry and itchy. In this article, we shall briefly discuss some other clinical conditions that can affect the scalp and can cause an itchy scalp. There are a number of different in conditions that can affect the scalp, resulting in reaching that can be rather annoying and frustrating. Below is a list of these conditions and a brief description regarding each of these. Many men with back hair are often troubled with their hairy back look, especially when they have to unbutton their shirts. However, with some simple techniques discussed here, such men can have a smoother back without hair. A back shaver is a razor that has a long handle that enables it to reach the back. They come in both, standard and electric versions. A back shaver to remove the unwanted back hair can be used by you without the use of any other person. The skin is the largest organ in our body. It is constantly exposed to different toxins and environmental factors that can result in changes in its texture, colour and cellular structure. Skin disease is one of the most common reasons why an individual would seek help from medical professionals. One of the common skin condition that patients suffer from is dermatitis. In this article, we shall take a brief look at dermatitis. A hernia is defined as “a condition in which part of an organ is displaced and protrudes through the wall of the cavity containing it.” The most common type of hernia occurs in various places of the abdominal wall, which often involves the intestine protruding from a weak spot in the abdominal wall cavity. 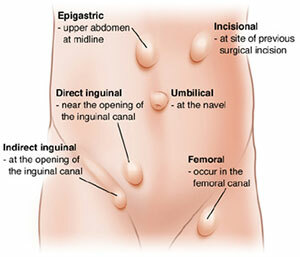 Hernias present as a bulge in the area and sometimes can be moved or retracted back into the cavity. There are several different types of hernias, however, and each will have their own symptoms and treatments. Laser hair removal is a commonly performed cosmetic procedure that gives better alternative for tweezing, shaving and waxing for the removal of unwanted hair. It works by using lasers, that is, by focusing amplified light beam concentrating it on the hair follicles. This makes the pigment in the hair to absorb the light, which in turn destroys the hair. Many women experience pain and discomfort with ovulation, about two weeks before the onset of periods. The pain can be felt on either side of the lower abdomen, which is determined by which ovary is producing the ovum (egg). Mittelschmerz is a German word that is used to technically address this health condition. There are three main methods that will help you achieve permanent hair removal in your home. Here we will explain them briefly. This method is ideal to lighten the hairs that aren't completely black. Choose bleach that that is meant to be used on the sensitive skin of the face to avoid irritation. Bleach treatment lasts for about 2 weeks of application. 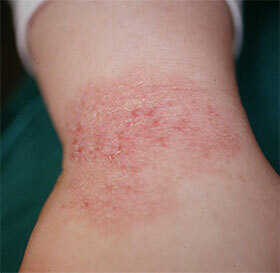 Eczema Herpeticum is a medical emergency and requires immediate treatment. In this article, we shall take a closer look at this clinical condition. Eczema Herpeticum is a skin condition that is caused by the herpes simplex virus. In the medical world, it is also known as Kaposi Varicelliform eruption. Patients who suffer from Eczema Herpeticum often have underlying atopic dermatitis. The condition is typically more common in children and if left untreated can progress rapidly and can result in death. It affects around one in five children in developed countries. Acne or Acne Vulgaris, is a skin condition involving oil glands at the base of the hair follicles. The human skin has pores which are connected to the oil glands under the skin. These oil glands produce an oily liquid called "Sebum", which carries the dead skin cells to the surface of the skin. If the pore gets blocked due to any reason, it results in an accumulation of oil under the skin leading to inflammation, pimples and acne. Pimples tend to appear on the face, neck, shoulders, and chest. Since ages, removal of pubic hair has always been a choice of women. This has become more of a necessity, when the bathing suits have reduced more in size. In addition, removal of pubic hair throughout the years has been more sought because of the changes in lingerie styles. Nowadays, models often wear narrow garments in the front and back of the bikini region. Brazilian laser hair removal provides a treatment method to remove all or most of the pubic hair from the pubic region. Our heart beats at a regular rhythm from the moment we are born to the moment we die. During our lifetime, there may be changes to the heartbeat that may warrant certain treatment. 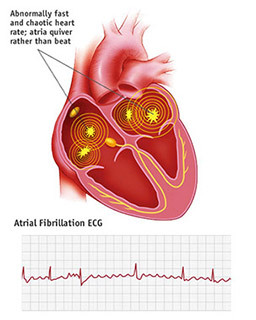 One such change to the rhythm of the heartbeat is called sinus arrhythmia. In this article, we shall take a brief look at this clinical condition. Lasers are used for many purposes, and it finds one such use in removing stretch marks. It reduces the appearance of stretch marks, reduce their redness, making it more beautiful and uniform in color. No one wants stretch marks, as they give an "inconsistent" look on the skin. Laser stretch mark removal approved by FDA, fast and easy way to clear the stretch lines to give you back the natural-looking skin.